Since 1986, The Tax Office, Inc., has been the leading tax firm for hundreds of people and businesses throughout Northern California. We are an innovative team of tax and business professionals combining knowledgeable expertise with responsive service. We provide collaborative solutions for small and medium businesses in the Northern California Region, as well as individuals needing comprehensive planning and compliance services to address not only today’s needs but tomorrow’s vision. Our ultimate goal is increasing both your personal and professional wealth. Putting the pieces together means having a team of responsive experts that bring years of personal and business advisory experience to the table, know all of the nuances of Federal and California tax law, and are up to date with the latest in tax planning, preparation, and representation. 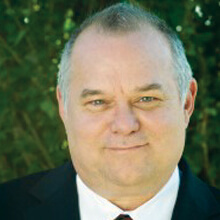 Chris Coggins is the Founder and Managing Partner of The Tax Office, Inc. and is licensed to represent clients before the IRS as an Enrolled Agent. He has over 35 years accounting and tax experience. He has held licenses in the Real Estate, Insurance and Financial Planning Professions and is a Certified QuickBooks Pro Advisor. Lani is a Certified Tax Coach, which translates into providing proactive tax strategies for you and your business. 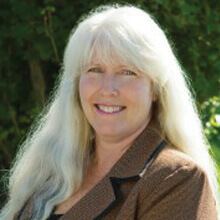 Lani has over 15 years experience in tax and has been a partner since 1998. Her strong client focus plus her tax credentials give Lani an edge in designing business and personal tax plans that not only reduce taxes, but truly help her clients. The Tax Office provides a very professional service on a yearly bases-not just during tax season. The staff is always helpful and friendly, in addition to that they provide information and knowledge to help hroughout the year to benefit me in the best way possible financially. I highly recommend “The Tax Office”. Always great value and great service. The Tax Office has been doing my tax returns for more than 20 years, and several times they found deductions that I was unaware of. Can’t beat that! Staff is professional, extremely competent, friendly and helpful. We use them for both business and personal accounts. We think “The Tax Office” is brilliant. Always very helpful and accommodating in every way. We have been customers of theirs for over 6 years and have always had very pleasant experiences. Very good at answering e-mails and if you have any problems, then they are only a phone call away. You feel like they are members of your family, very happy and pleasant people. They are in lovely offices and have a nice waiting area. Let them do your taxes for you – they won’t disappoint you in any way.